Alumni Brig. Gen. Joe Jarrard, commander of the Georgia Army National Guard, left, and Lt. Gen. James Terry, commanding general of Third Army/ARCENT, share memories before the Corps of Cadets' annual Military Awards Review, held during the recent Alumni Weekend. Hundreds of alumni celebrated the 2014 Alumni Weekend with reunions and special events that included award presentations and a memorial ceremony for deceased alumni at the University of North Georgia's (UNG) Dahlonega Campus on April 26-27.
friends of the Corps of Cadets. "We want everyone to have something they feel connected with, be it tournaments or reunions or ballgames," said Phil Collins, associate vice president of alumni relations and annual giving. "Alumni Weekend events also offer great opportunities for our friends to see a part of the university they may not be familiar with." The reviewing officer and speaker for the Corps of Cadets' annual Military Awards Review was Lt. Gen. James Terry, an alumnus of the University of North Georgia and commanding general of Third Army/ARCENT, the Army Service component of U.S. Central Command. 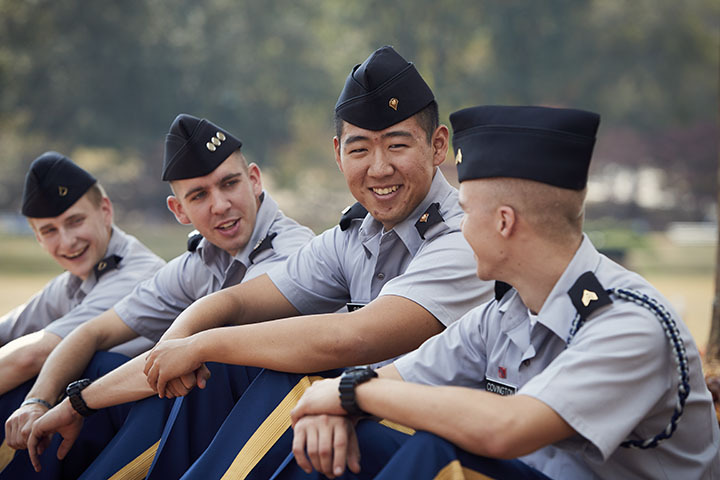 Terry, who also had served as assistant professor of military science and assistant commandant of cadets at the university, credited his time as a cadet for providing the foundation for his life and career. "In my years of experience, it is my assessment that this cadet corps is singly the best gateway and a national treasure for leadership. You have a foundation to succeed, regardless of what endeavor you choose in life. 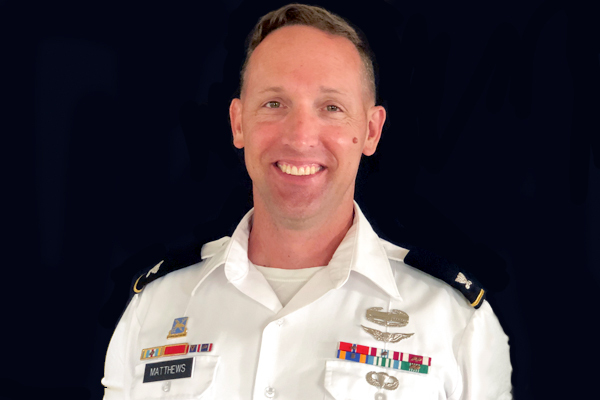 Whether it be military or civilian service, you have been equipped here not only succeed but to excel in every facet of life and for a lifetime of service," he said. "Should our paths cross down the road, don't hesitate to come forward, in fact it's expected, to discuss our shared experiences from North Georgia." Terry has commanded with distinction in a wide variety of assignments, including Germany, Korea, Kuwait, Iraq, and Afghanistan. Terry has received a number of awards, including the Defense Distinguished Service Medal, the Legion of Merit (with four Oak Leaf Clusters), the Bronze Star Medal (with Oak Leaf Cluster), the Defense Meritorious Service Medal, and many others. In addition to his bachelor's degree from UNG, Terry also holds two master's degrees. Alumni participate in the annual golf tournament. During the review, 34 members of UNG's Corps of Cadets were presented awards and scholarships, many endowed in memory of alumni. One of those, the David B. "Snake" Wood Class of 1969 Memorial Merit Award and Scholarship, was presented by Wood's sister, Amy Wood Huckaby. She and husband Hank Huckaby, chancellor of the University System of Georgia, were university guests at the review and a corps appreciation luncheon held before the event. The annual Nighthawks Athletics Golf Club Tournament at Achasta Golf Course drew 120 UNG alumni, faculty, staff, and friends for breakfast and 18 holes of golf. Some 150 people attended the NGCSU Alumni Association Inc. Awards Luncheon honoring outstanding alumni, faculty and students for their representation and service to the university and community. Those recognized at the ceremony were Lt. Col. (retired) Gates Scoville ('58), Distinguished Alumnus Award; Lt. Gen. James L. Terry ('78) and Maj. Gen. (retired) Bud Thrasher ('72), Alumni Hall of Fame; Portia H. McDonald ('64), Ralph Colley Spirit of North Georgia Award; Andrea Wells ('04), Young Alumnus Award; Rich Green and cadet Capt. Brooke Mazur, Paul M. Hutcherson Outstanding Student Award; and Dr. Timothy May, head of the Department of History, Anthropology and Philosophy, Distinguished Professor Award. gather for a 10-year reunion. 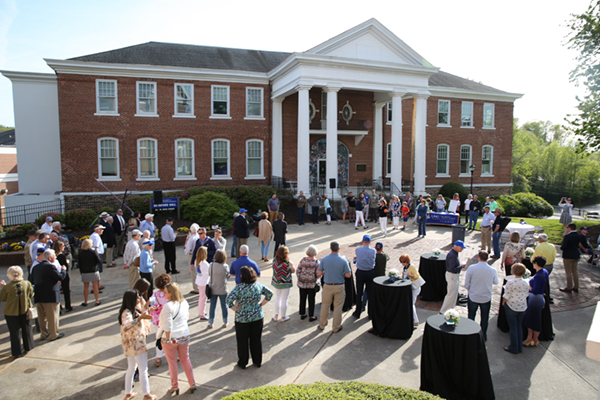 Among the reunions held during the weekend was the 50-year reunion for members of the class of 1964, who were inducted into UNG's Golden Alumni Society and presented the society's golden medallion by UNG President Bonita Jacobs. The society is exclusively for UNG classes marking 50-plus years since graduation. Members of Sigma Kappa, one of five sororities at the university, also reunited to celebrate the organization's 10th anniversary. "We are growing; after being established in 2004, our first new member class held 12," said Casey Redmond, president of Sigma Kappa. "Now, we have 49 new members in our current pledge class." 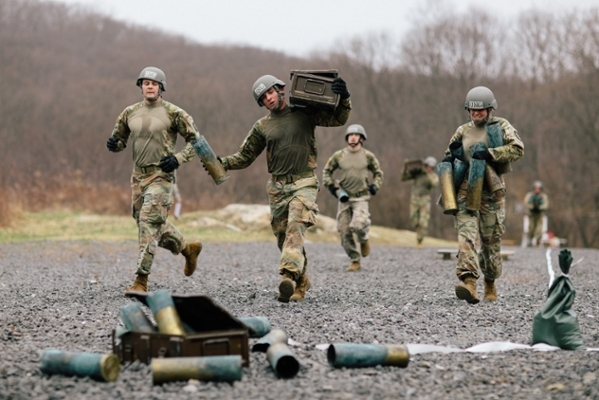 The university's Corps of Cadets held the annual Memorial Retreat Ceremony on April 26, remembering alumni and students who died in combat while serving in the military, and other alumni, students, faculty, staff, and friends of the university who have died in the past year. Maj. Kitefre Oboho, who graduated from UNG in 2002, was guest speaker. "We gather today on hallowed ground to honor those who have fallen in combat, and the faculty, staff, students and alumni who have gone before us," Oboho said. "We cannot forget them. We must not forget them. No institution produces leaders like UNG; I owe who I am today to the mentorship I received here." To see more photos from the 2014 Alumni Weekend, visit our official Facebook page UNG - University of North Georgia.